Draw in crowds with directional signage, floor decals, and event flags, while providing shade at outdoor events with custom graphics for your event tent! Print your branding or theme on large-scale vinyl banners or a variety of signs. Include a background of wall graphics or murals to set the stage throughout the venue. We customize a full range of attention-grabbing graphics to help presenters, vendors and event coordinators transform any venue into a coordinated visual experience with big, bold graphics done right. Partner with us for everything visual, and ensure that all eyes at the event see your message, whether indoors or out.. Draw in crowds with custom event signage, tents and flags. Display your graphics easily and affordably with eye-catching banners. Indoor banner stands are available in a variety of options including retractable, lightweight, fabric and telescopic to fit your advertising needs. Full color graphics printed on indoor banner stands and backdrops offer an attractive style, while maintaining a professional appearance. Vibrant, full-color outdoor banners are also available, providing you with a quick and cost-effective solution for any outdoor event. 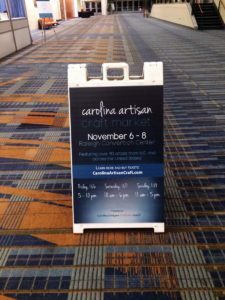 Events signs also make an impact on potential customers by giving them a reason to step inside your business. 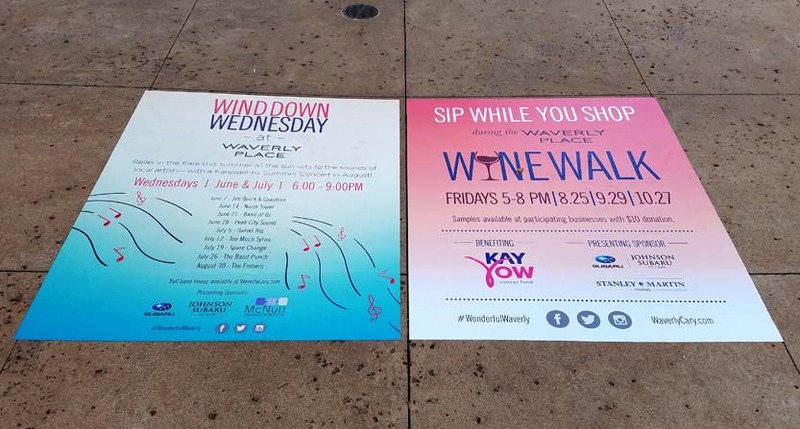 Outdoor plastic or metal A-frame signs give your company the opportunity to advertise your brand in any location with a solution that is quick and easy to set up. Make sure your message is seen by everyone walking by. 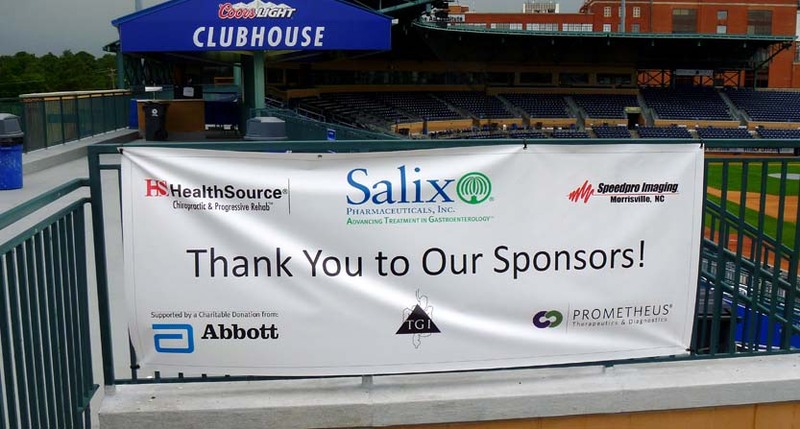 Both indoor and outdoor banners and signs are available as single or double-sided and in a variety of dimensions. 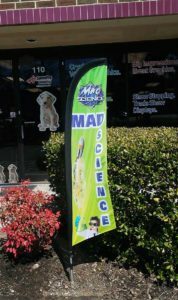 Flags are a great choice for outdoor display use where the breeze creates motion that attracts people’s interest. The standard spike base provides easy mounting in softer surfaces, while the X base works best for hard surfaces. Flags are available as single or double-sided. Durable, full-color outdoor tents create a professional look to advertise your company easily and boldly at any event. Your full color logo and message is printed on your choice of a 5′, 10′, or 20′ event tent using a heat transfer print. Transform your event with dramatic and colorful window graphics that make customers take a second look at your advertisement. Broadcast your brand and promotions from bold window fonts to elegant interior window decals that are highly visible and durable. 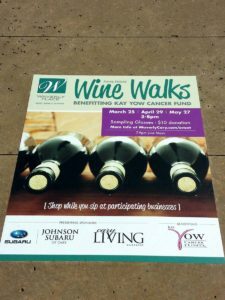 Eye-catching floor graphics or sidewalk decals can also be used to direct crowds at your event. Vinyl decals for floors are available for many types of environments, with a selection of materials suitable for installing floor decals to smooth flooring, concrete sidewalks, and rough asphalt to provide the perfect solution for your event needs. Wall graphics are available in a wide variety of options to set a background for your event. Create an environment that fits the needs of your indoor event with graphics and signs printed on canvas, acrylic, aluminum, PVC and more! Custom wallpaper and printed wall murals also transform any space with stunning colors and attention to detail to ensure your walls bring any space to life. SpeedPro Imaging NW Raleigh is your source for custom event graphics in Raleigh, Durham and Cary. We are conveniently located just 1 mile from I40 and Aviation Parkway in Morrisville, NC. Call today to schedule a consultation and see how you can transform your space.